Who doesn’t love Mac & Cheese? Just about every American has a sort of nostalgia towards it. I think there’s just something about that dense, cheesy mess of noodles takes us right back to grade school and having Mom whip together a quick after-school snack. But now as an adult living in the Bay Area, I’ve figured out where everyone goes to relive those childhood memories in the form of boozy brunch. 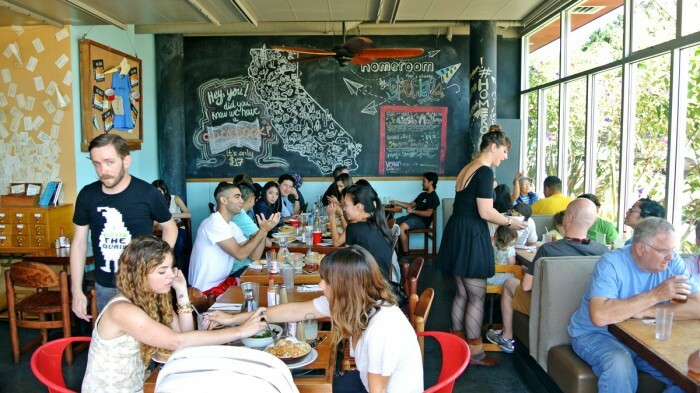 In the mostly residential Oakland neighborhood of Temescal, there’s Homeroom – a super-casual schoolhouse themed spot whose name and decor only serve to further the emotional connection between the food and being a little kid. Homeroom is the kind of place where hungry teenagers, hungover hipsters, and hoards of stroller-pushing parents can all go alike. 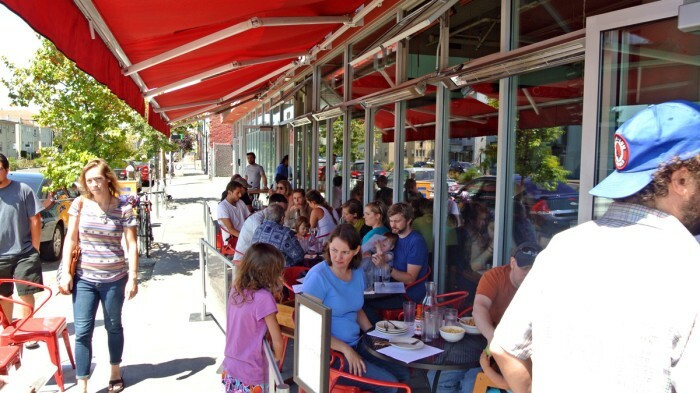 Even though its location is a little out of the way for most San Franciscans as well as East Bay residents, there’s still always going to be a perpetual line and wait list during prime brunching hours. 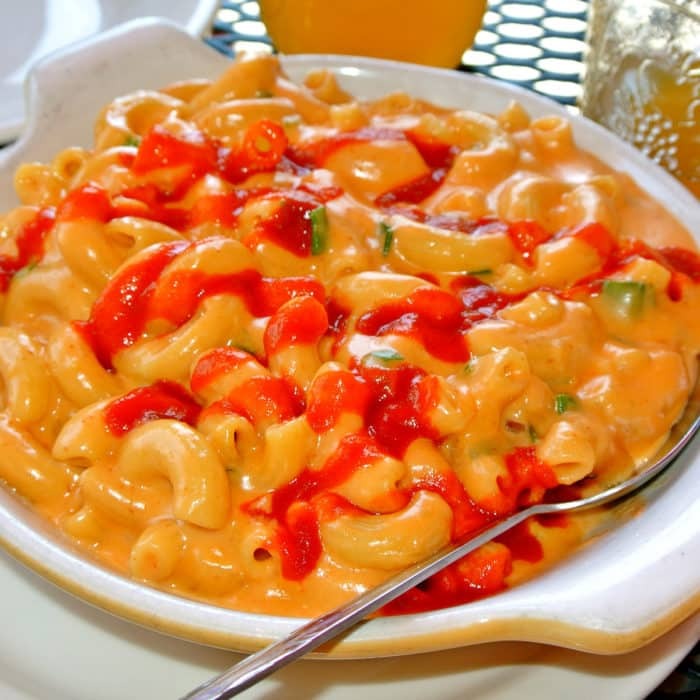 And it makes sense because mac & cheese is the kind of dish that appeals to all types including picky eaters, culinary adventurers, vegetarians, and even the gluten-intolerant. Literally everyone can find a version of this comforting classic to love… except maybe the lactose intolerant. They might want to sit this one out. 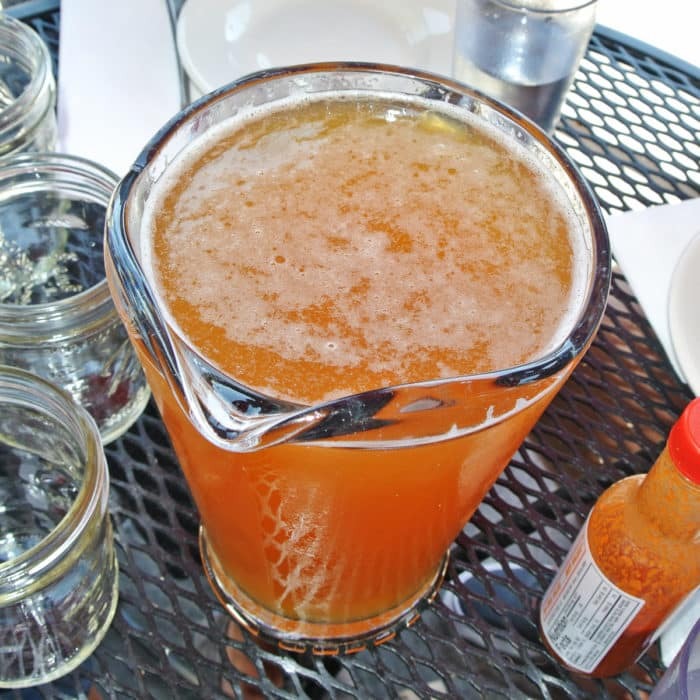 We ended up at a table on the outdoor patio for this hot and sunny Saturday afternoon and figured a pitcher of something alcoholic was in order to battle the heat. Homeroom’s menu has a section called Boozy Experiments full of strange concoction, but there was one in particular called The Professor that caught all of our tables’ eyes. 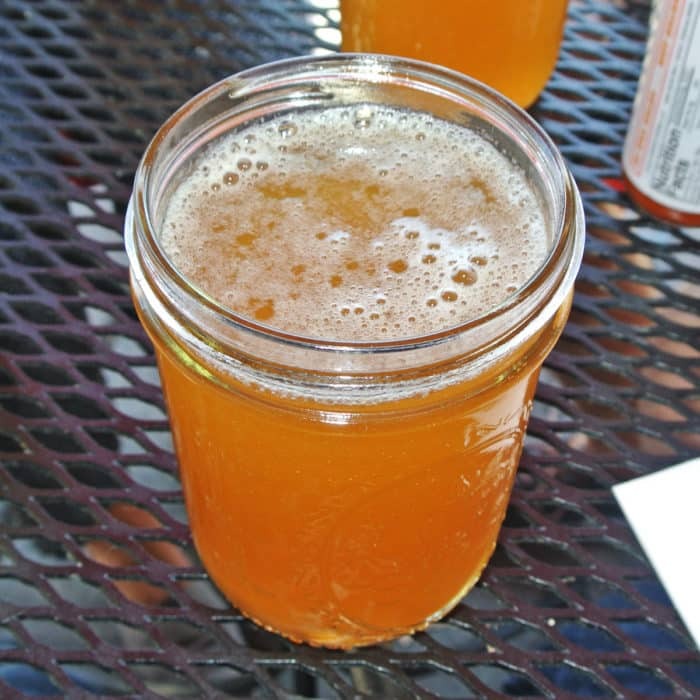 It was a sort of summer shandy made half with blonde beer and half with limeade. It was bright, flavorful, refreshing, and was just downright delicious. This really hit the spot while we hung out in the sun waiting patiently for our mac & cheeses to arrive. And we really did have to wait. It was a good thing none of us were in a rush. After waiting nearly 40 minutes for our macs to arrive, we we’re absolutely ravenous. I first dug into the one called Mac the Goat which was definitely the most traditional of the flavors we selected. It, like all of the offerings, was super-cheesy and had nicely cooked al dente elbow noodles that served as the base. It was loaded up with fresh, creamy chèvre goat cheese and sliced scallions and also came topped with crispy breadcrumbs and an olive oil drizzle. This really was an excellent rendition of mac & cheese and those bread crumbs added an great contrasting texture to the whole thing. Then, I moved on to the Mexican Mac which was the one must-order for me. These noodles were also cooked very well, but this one was instead loaded with slices of Niman Ranch chorizo, smokey chipotle peppers, jack cheese, and cilantro and came served with a lime wedge. Sound like my kind of ingredients, doesn’t it? 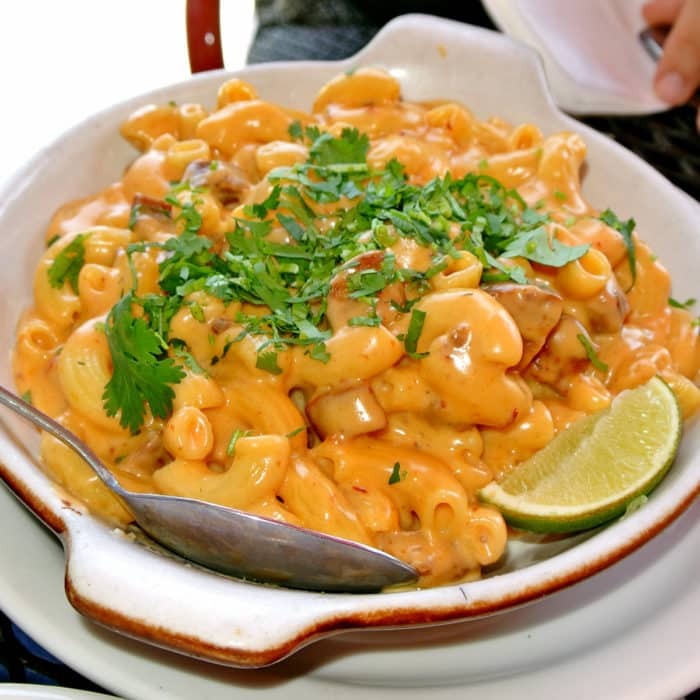 I’d never before thought to squeeze lime over mac & cheese, but it combined so well with the spicy and deeply smokey mac & cheese toppings that I’ll have to keep it in mind for future mac-ing. I’ve always been a fan of chorizo in all of its forms and this dish successfully showed me one more wonderful way to use that magically delicious pork product. Finally, the selection our dining companions were most interested in trying — the Exchange Student Sriracha Mac. As if you couldn’t already guess, the key ingredient in this variety was the absolutely cultish condiment – Sriracha. This dish pretty much encapsulates the pinnacle of hipster foodie-ism worship — a simple childhood classic turned upscale with the addition of the most idolized condiment out there. Don’t get me wrong, this mac was really spicy and delicious with its combination of creamy havarti cheese, ginger butter, sliced scallions, and spicy sriracha sauce but it just makes me laugh that this is what the food world has come to. 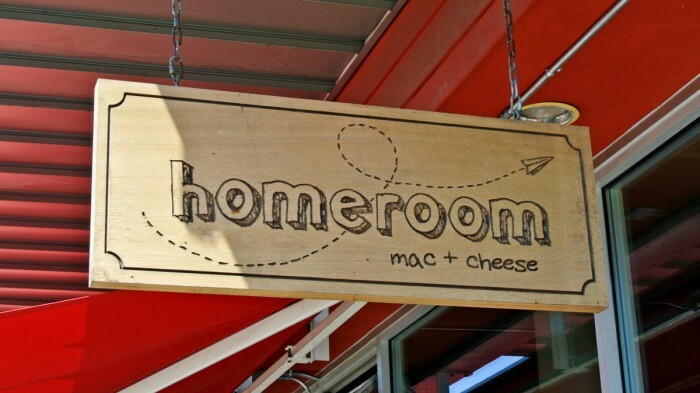 So if you find yourself with an undeniable craving for the rich, hearty, cheesy, carb-bomb that is mac & cheese head out to Oakland and check out Homeroom. The prices are super reasonable and the food really is quite delicious even if they do serve the prototypical example of food-worship gone wild. Just try to go at an off-hour or be prepared do to some waiting. 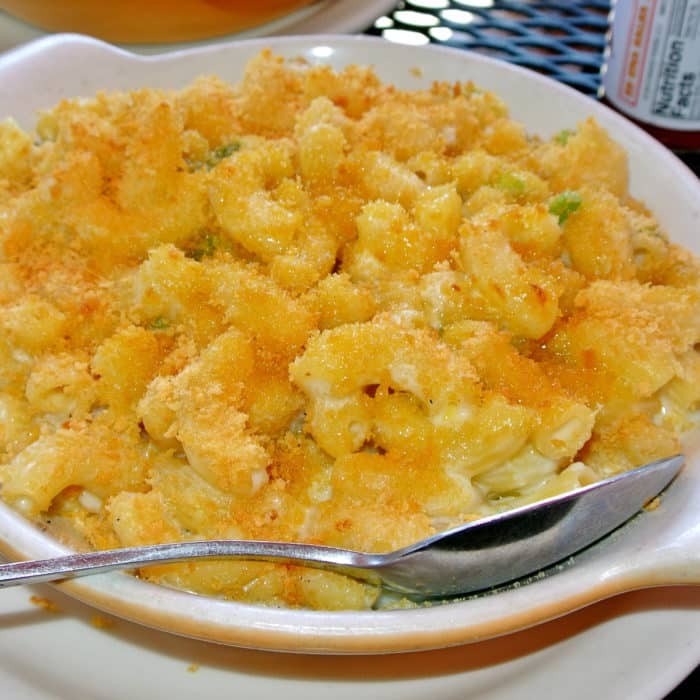 Got another mac & cheese spot in the Bay Area that I need to check out? Let me know in the comments below.